Welcome to a second gallery of photographs from my medium format collection. I wish I had more time to get out with my medium format equipment as when I do it helps de stress me. I don't find it easy to create money selling images with medium format equipment but I do try for every successful photograph I get there are many more failures. Processing this medium format film is not that cheap but if I don't experiment how can I expect to improve my skills, I hope that you agree that the following photographs are worthy of being presented here. 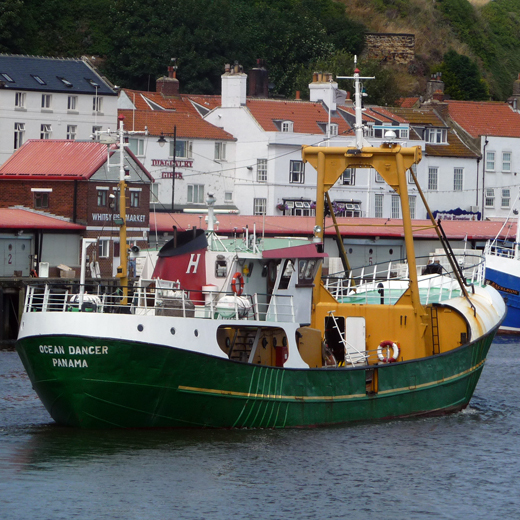 The Custom Boat, Valiant has been a frequent visitor to Whitby this year. 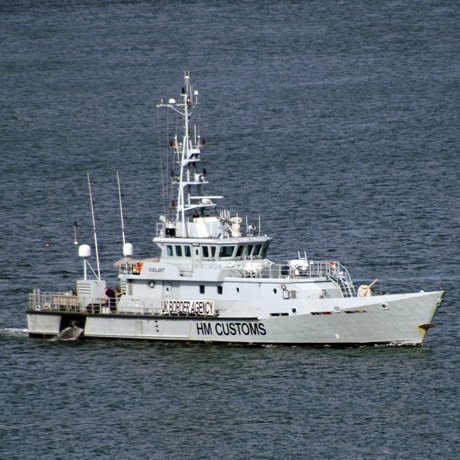 This was captured as the vessel made its approach to the port. Once tied alongside the berth it was possible to get a better look at the boat, although it was limited in terms of any other photographs. 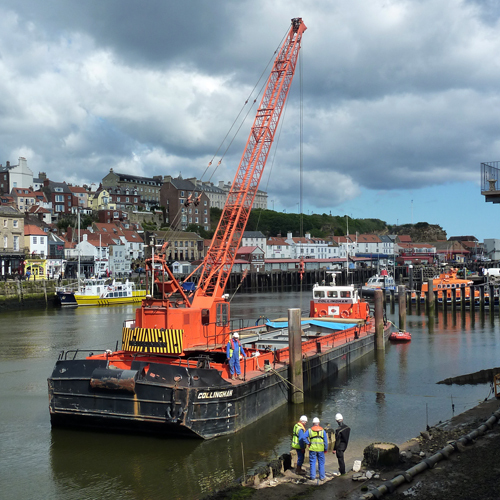 This Collingham is a sophisticated crane barge brought in to deal with some piling that had collapsed close to the swing bridge. It was interesting to see the barge at work and the commercial divers involved in the repair work. My wife and I have been fans of the television drama series Heartbeat. 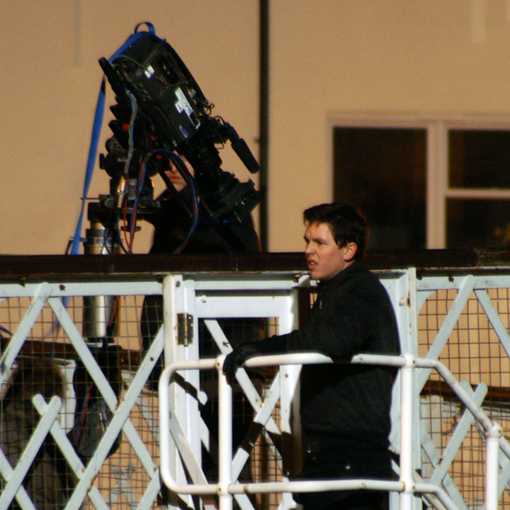 The photograph above was taken during a midnight film session. It was one occasion that the digital format came in handy allowing me to estimate the medium format camera settings. 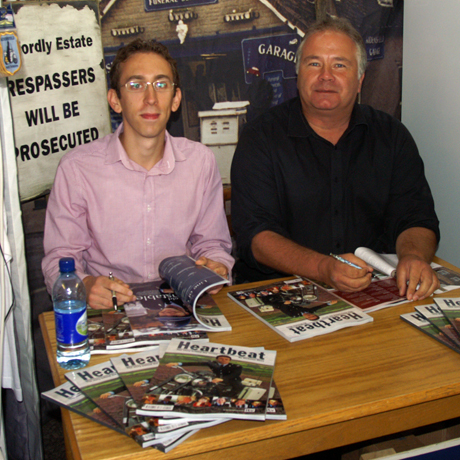 After the end of the series two of the Heartbeat show two of the stars were in Goathland to sign copies of a book. This was one of my Whitby Gazette photographs. 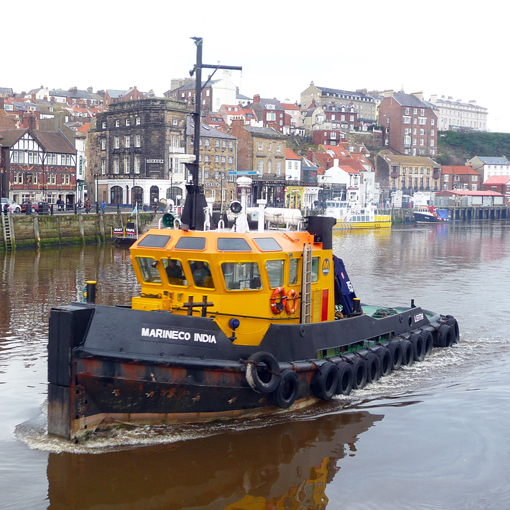 This is an Indian tug which came into Whitby for a refit. It actually came from India and is destined to continue working for sometime to come. The Ocean Dancer hardly needs any introduction to those that have browsed the other pages in my website. It is to be seen amongst my Clive Cussler pages as well as its own dedicated pages. These six photographs were selected with no particular theme in mind. Whitby has a lot to offer the photographer whether it be digital or film, there many opportunities within an easy travel distance with something for everyone. I believe that the images above are a good representation of my medium format when scanned on a traditional flat plate scanner albeit it with an add on lid for film and transparency scanning.